Benjamin Bradley. Image courtesy of the subject. When he grew up, Bradley did a tour with the army where he worked as a Sergeant Medic in the Korean DMZ. After his tour ended in 2007, he returned to his hometown where he founded Midtown Adventures, an underground exploration group in 2011. “Sacramento had a lot more vacant buildings at the time so …I would lead a small group to explore neglected and abandoned buildings in the downtown area – while inside we would go over the history of the building its owners and how it came to be neglected and unused.” Eventually, many of those buildings were demolished and rebuilt, and the group dispersed. 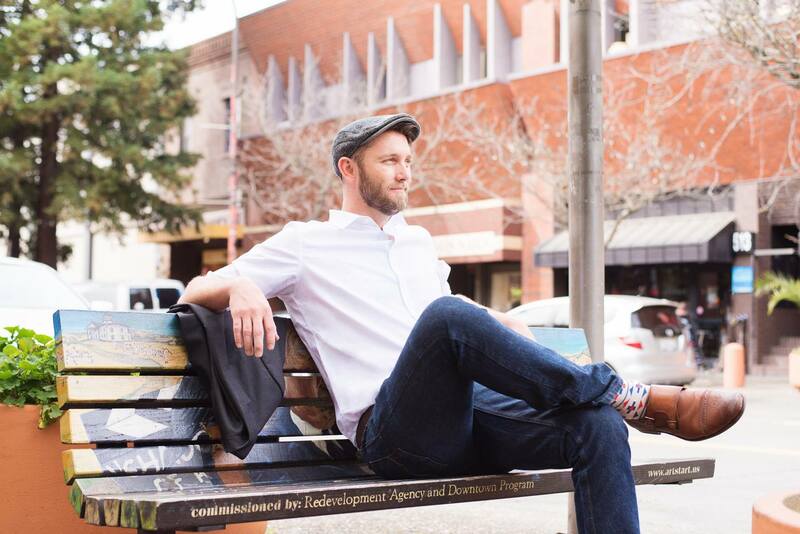 “At that time I would definitely say it was, uh not legal, what we were doing [laugh] … but it was really exciting.” Bradley then took all that knowledge he gained and used it to become a tour guide for the city, giving historical tours all over Sacramento. Bradley has lofty goals for the company, which he says is “based on a foundation of having integrity with our clients, having a shared success. We’re invested into everyone we work with. And we don’t just decide to work with people, we actually personally believe in them as well and grow with them. That’s the professional side, the other arm that’s established here is actually to prepare a foundation to give back and invest into the community and social justice too.” They are putting together community empowerment events to this end, from block parties to park days to events focused on issues like rent control, housing prices, female empowerment, and the environment. So what is the multi-faceted Benjamin Bradley listening to? Starting in January, every Monday MilesBradley will be hosting a morning Dance Party call RiseUP at 6:30-8:00AM, more information TBA. In addition, Bradley will be hosting a Valentine’s Day themed Performance Art Warehouse show on February 9th called Love: Downtown at the Downtown Guild. For more information, click here. Find out more about MilesBradley here. Tags: Benjamin Bradley, Chelsea Miles, Chris Joss, David Byrne, De La Soul, Justin Jay, K. Hules, Katta Hules, Let Go, Midtown Adventures, MilesBradley, Music, Rififi Rococo, Sacramento, Snoopies, Talking Heads, This Must Be The Place (Naive Melody), TUBE. Magazine, What I'm Listening To, William Onyeabor. Bookmark the permalink.